Disability rights attorney Jared Allebest was born with a bilateral profound hearing loss. He was diagnosed at age 1 and fitted for hearing aids a year later. Today, Jared uses both hearing aids and ASL to communicate. The son of a lawyer, Jared was determined to follow in his father’s footsteps and his hearing loss never deterred him. Throughout his education, he remained inspired by his favorite elementary school teacher, Ms. Marquardt, who taught him one of the most invaluable lessons: Having a hearing loss isn’t a barrier to success. “[Hearing loss] has affected my outlook to fight harder and to push myself to accomplish the things that I want to do in my life,” Jared explains. After his graduation from Thomas Jefferson School of Law in 2009, Jared founded a law firm that advocates for people with hearing loss and speaking disabilities. The firm focuses on empowering their clients through education, advocacy, and lobbying. He works with clients with both typical hearing and hearing loss and takes on cases relating to disability rights or discrimination, as well as employment, marriage/divorce, and criminal law. Jared admits that he faces auditory challenges in his profession. During trials, he has to be exceptionally attentive to all parties. He also receives assistance from an ASL interpreter in the courtroom so he doesn’t miss anything being said. Despite some difficulty, Jared believes that his hearing loss is an advantage. His clients are more comfortable with him because they know he can empathize with them. People listen carefully when he speaks about issues concerning hearing loss. “By fighting for the rights of those who live with hearing loss, I am advocating for myself as well. I think of myself as the bridge between two worlds,” Jared says. Jared’s strong reputation as a dedicated lawyer stems from his sincerity and passion for helping others with legal issues that are deeply personal to him. The most rewarding part of his profession is knowing that his clients are satisfied with his commitment. Jared’s advocacy for the hearing loss community outside goes beyond the courtroom. He is the former chairman of Loop Utah—an advocacy group dedicated to educating people in Utah about the benefits of loop technology. 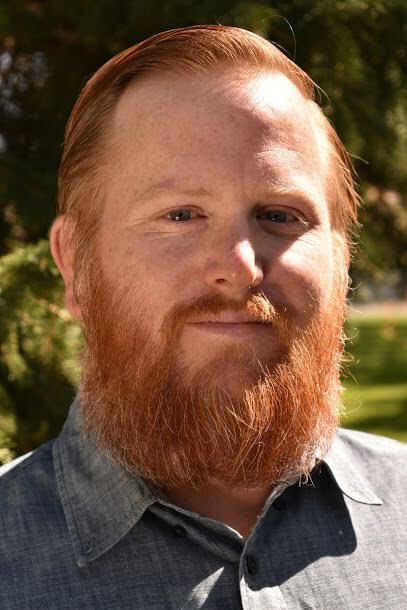 He currently serves as a community representative on the Advisory Council to the Utah Division of Services to the Deaf and Hard of Hearing (USDB Advisory Council). Jared lives and practices law in Utah. He is a participant in HHF’s Faces of Hearing Loss campaign.